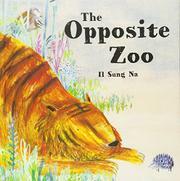 In exploring the concept of opposites at a zoo in nighttime, Na also explores a looser look than in many of his earlier books. “The sky is DARK, and the Opposite Zoo is CLOSED. But the monkey’s door is OPEN! Time to explore….” And explore the monkey does, swinging past a wide-“AWAKE!” owl and a fast-“asleep” panda, checking in on a “Hairy” lion and a “Bald” hippo, offering an acacia twig to a “Tall” giraffe and calling to a “short,” nursing peccary over three successive double-page spreads. While the opposites explored are not particularly revolutionary, Na’s wry sense of humor is on display in nearly every spread, from the “shy” chameleon the monkey spots trying its best to blend into a rock, the “Soft” tiger about to learn why it’s a bad idea to mess around with a “prickly” hedgehog, and the monkey sitting silently among a tribe of “NOISY” baboons, the adjective repeated in all-capital letters six times on the page above to emphasize the clamor. Readers accustomed to Na’s baroque, layered patterns will be struck by the simplified, free style he adopts in this book for young learners. Broad strokes and energetic scribbles of color recall Brian Wildsmith, offering just enough detail to captivate without threatening to overwhelm the concepts illustrated.